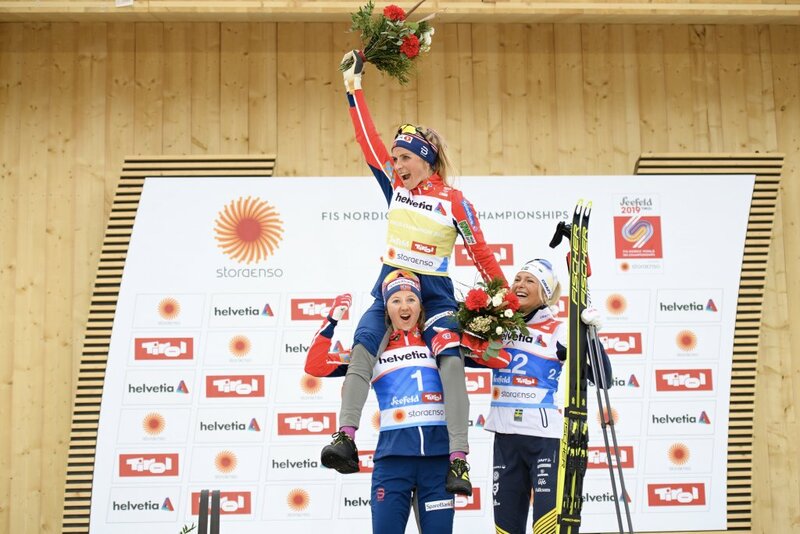 Heia Norge! 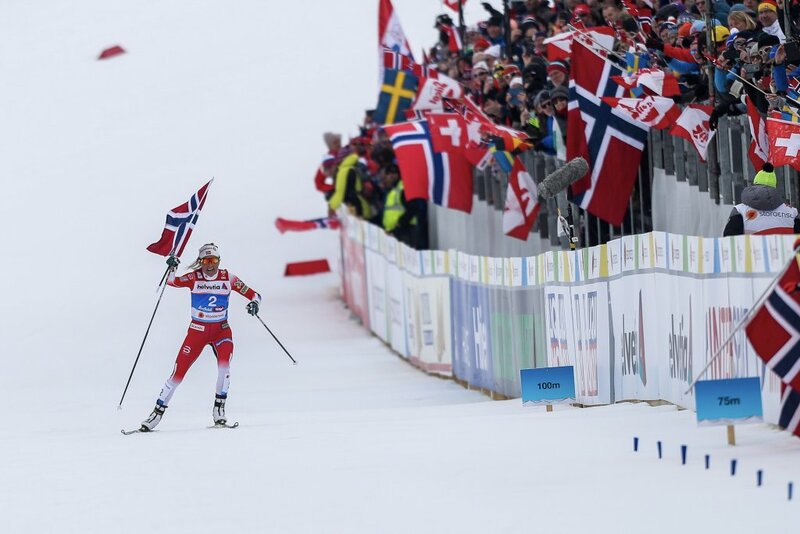 What would the FIS Nordic World Ski Championships have been without the Norwegians? 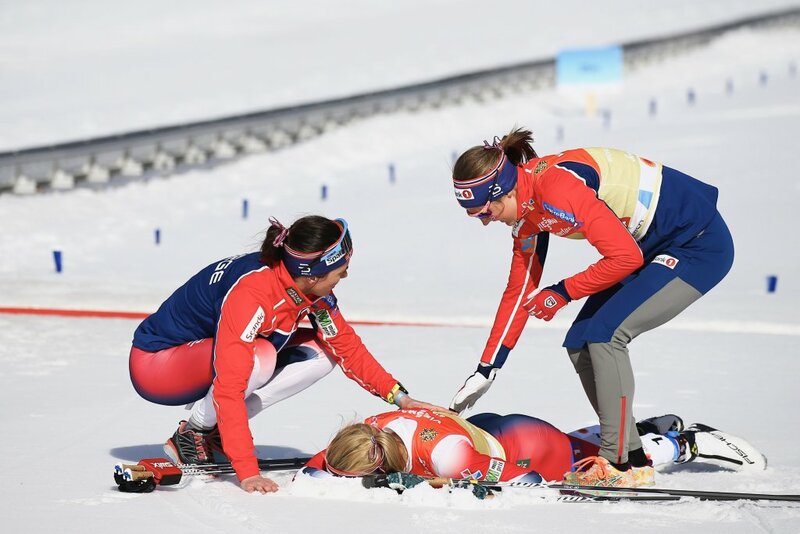 They did not only have the medals table firmly in their hands, but also the spectator stands. 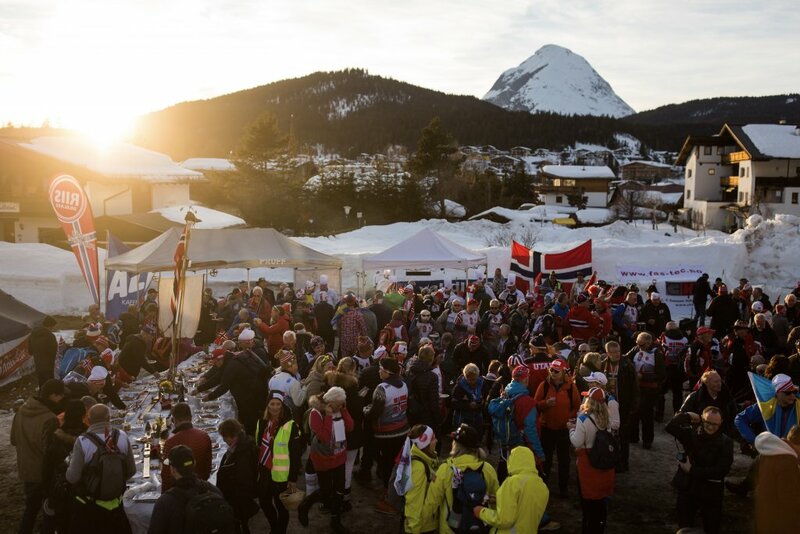 Thousands of fans came from the far north to Seefeld to cheer on their athletes. 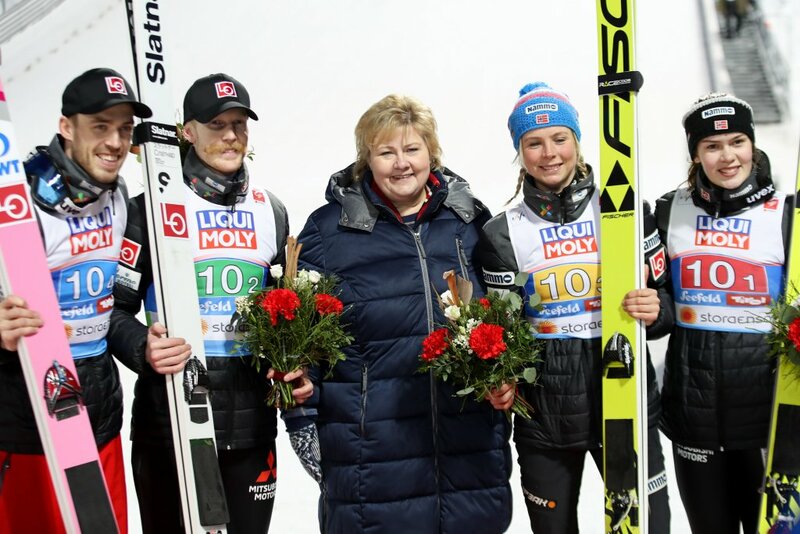 The royal house also honoured the athletes. 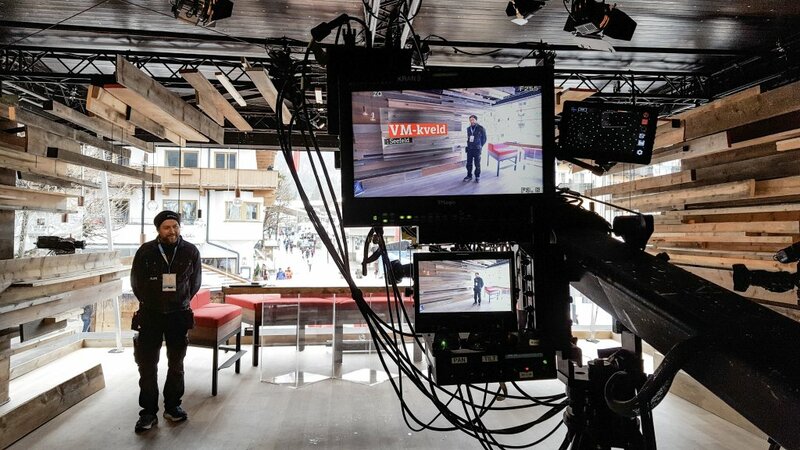 The Norwegian TV station NRK even reported in the exclusive local TV studio. 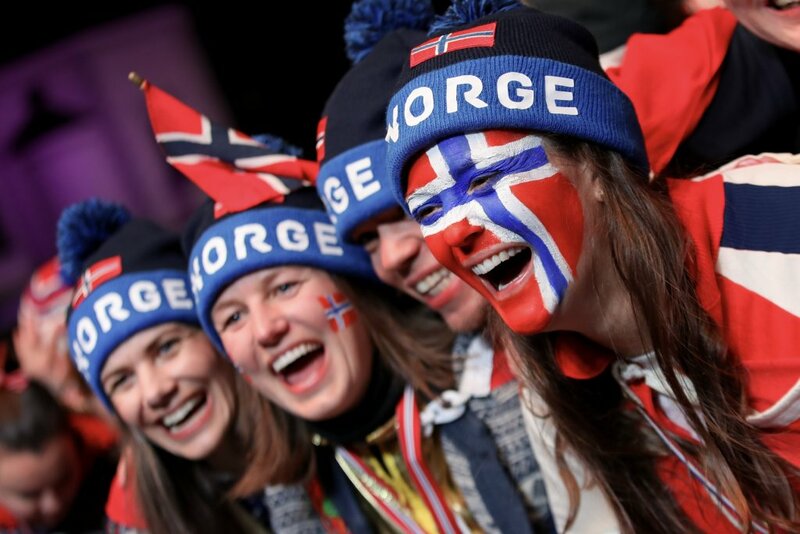 Norway has earned gold for this strong support! 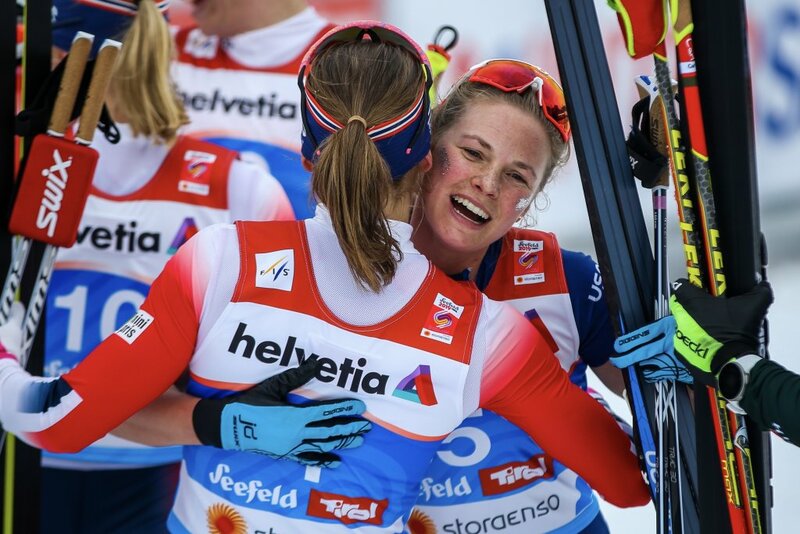 Let’s review the most beautiful impressions in red-white-blue: Click your way through the galleries and experience the most beautiful Norwegian moments with us! 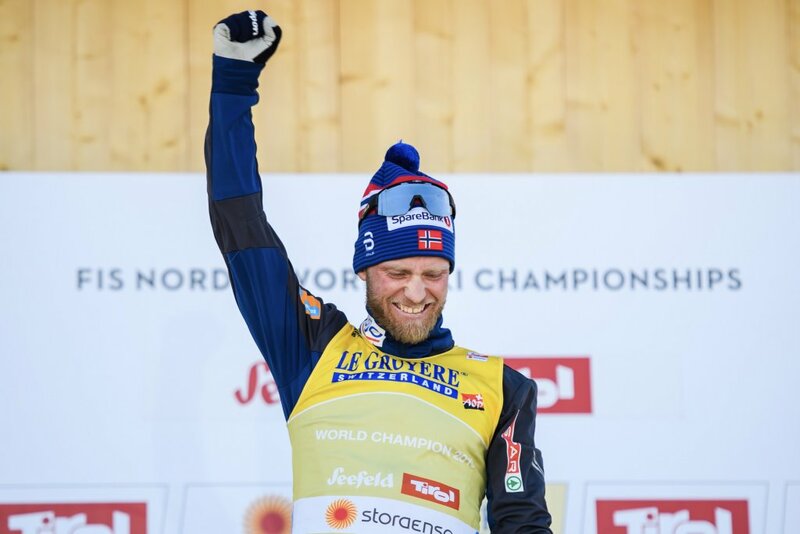 For det fantastiske oppmøtet på ski-VM, nordiske grener i Seefeld, fortjener Norge gull! 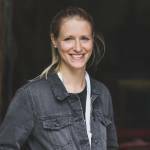 Her lar vi noen av de flotteste øyeblikkene i rødt-hvit-blått passere revue. 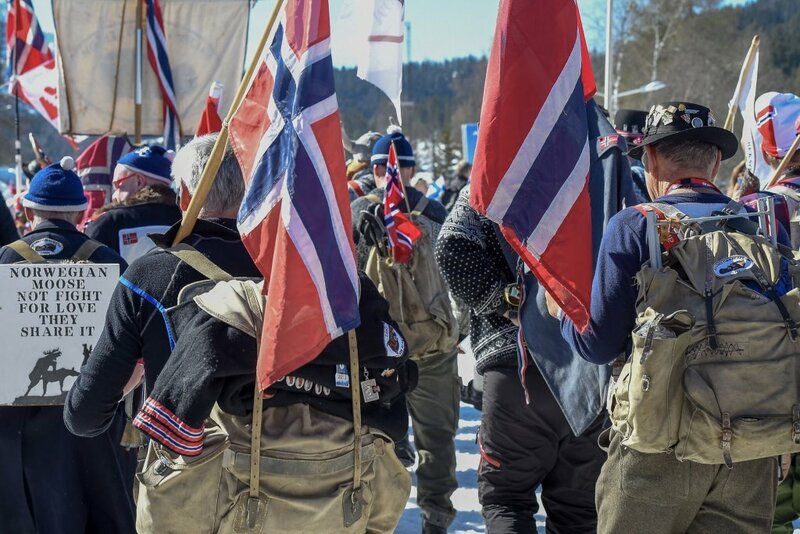 Klikk deg gjennom bildene og gjennopplev de vakreste, norske høydepunktene. 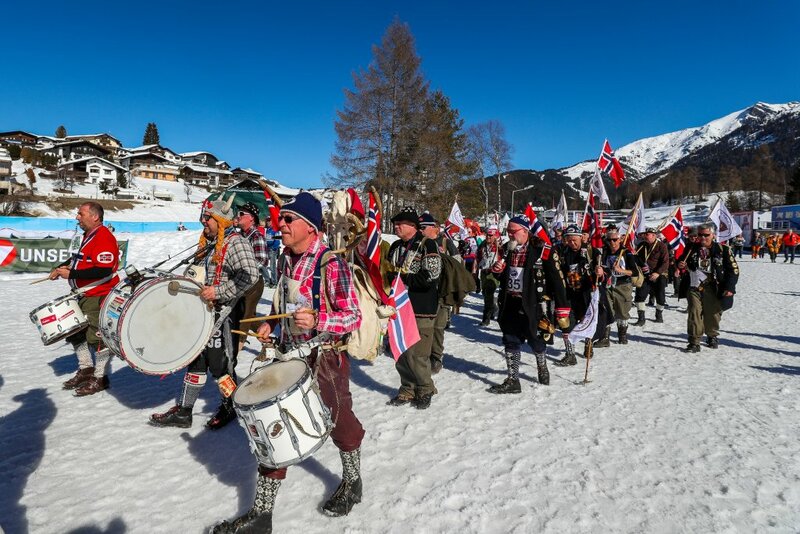 The Norwegian fans attracted attention with creative and elaborate costumes. 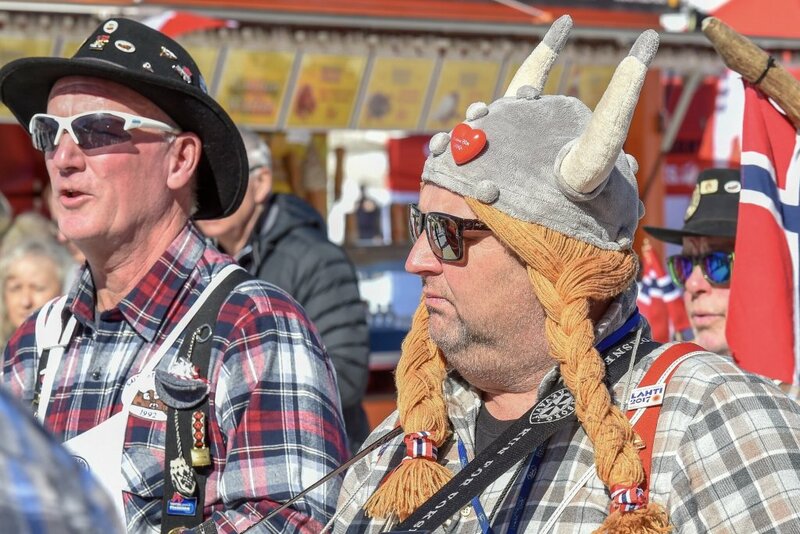 Eye-catching hats, Viking caps or glasses were also popular. 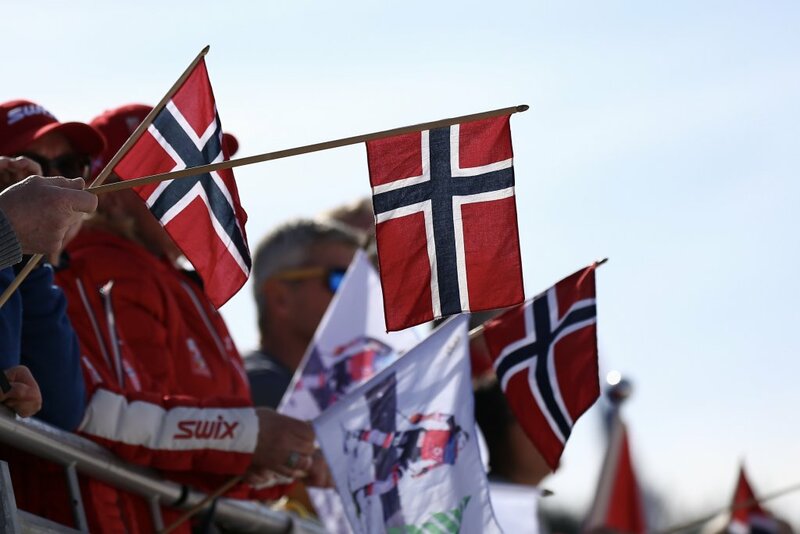 And the countless flags turned the grandstands into a Norwegian sea of flags! 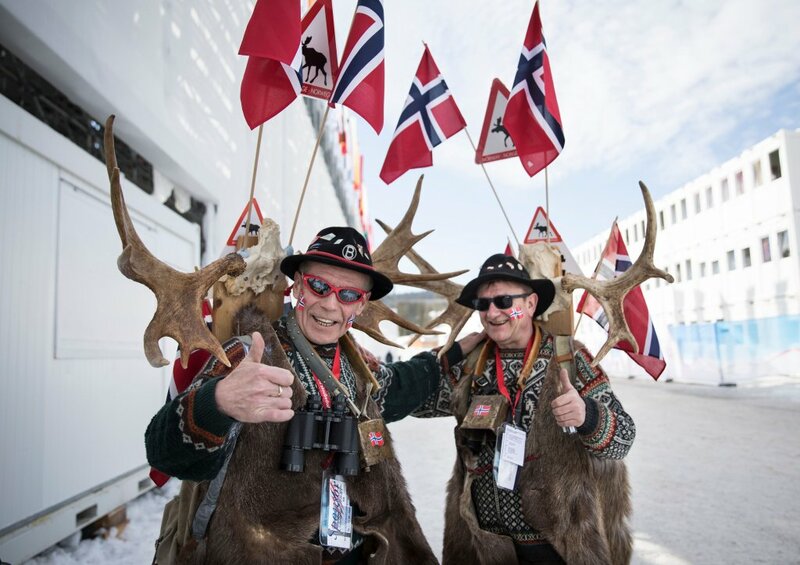 The best fan costumes of the Norwegians in a gallery. 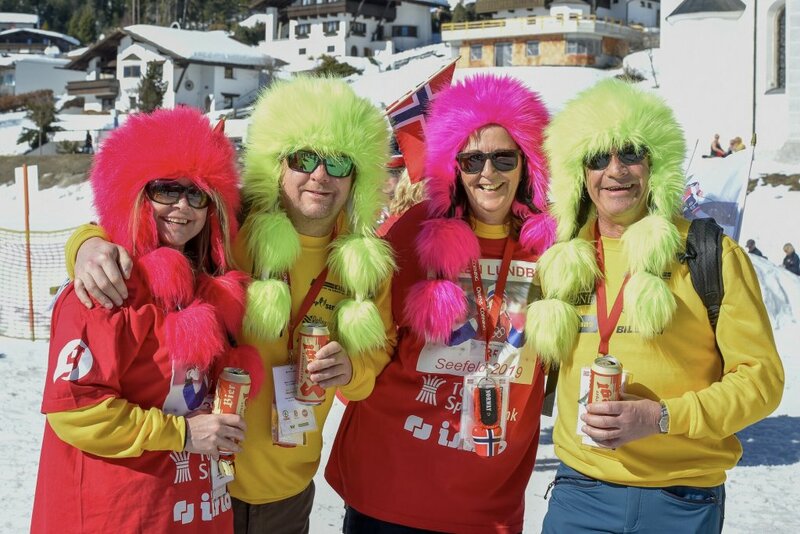 The Norwegian fans are very popular in Seefeld – the police also only praised them: “They are very peaceful and sociable people, the atmosphere is great and they are very patient. 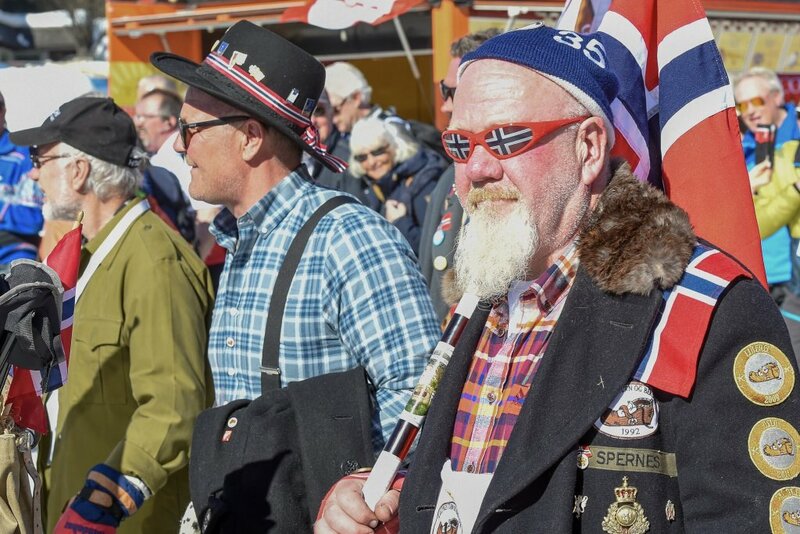 They are all nice people.”, they say about the Norwegians. 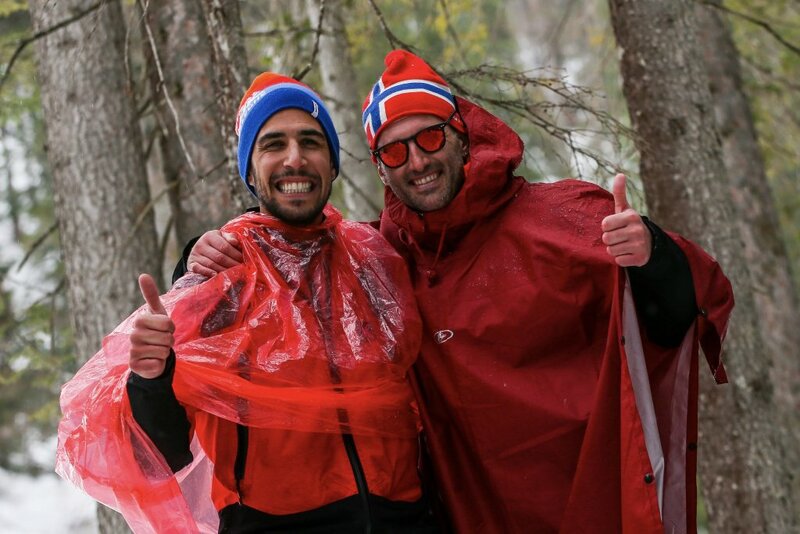 Even bad weather wouldn’t stop the Norwegian fans! 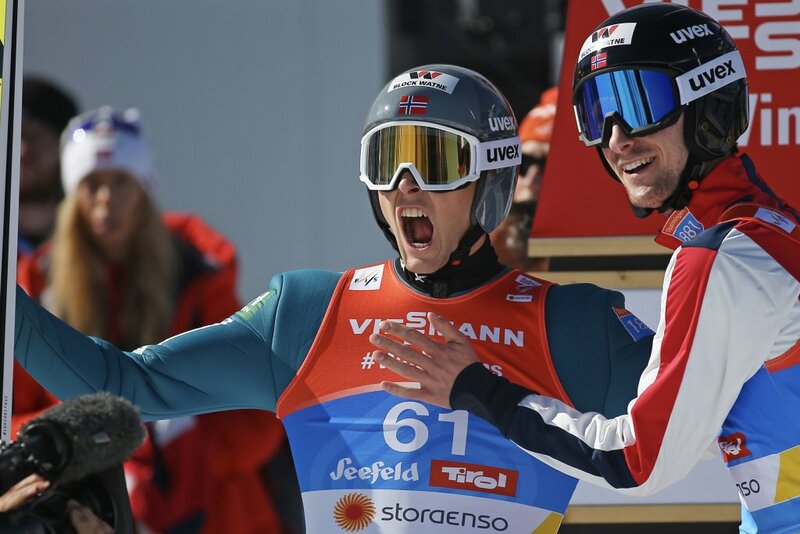 “Vi går for gull!” (“We go for gold!”) you could hear the Norwegians calling from the stands. 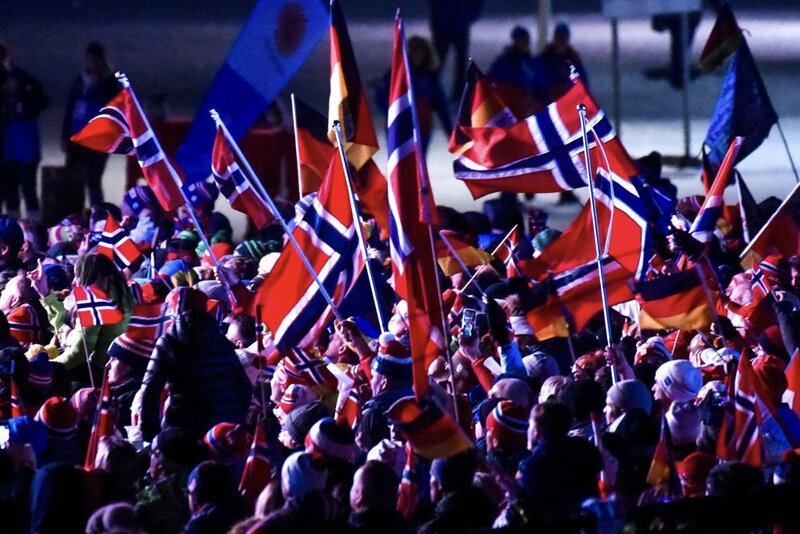 With a total of 25 medals (13 times gold, 5 times silver and 7 times bronze) the nation from the north is on place 1 in the medal table – and thus far ahead of all other nations. 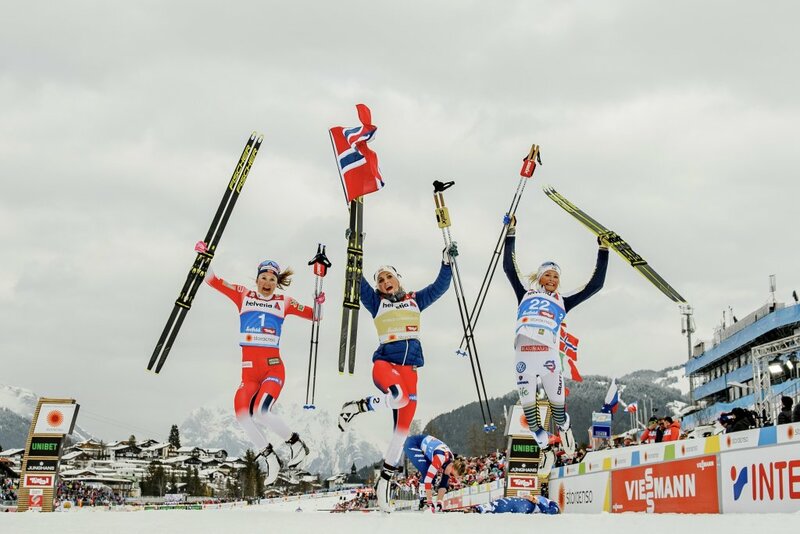 There was hardly a race after which the Norwegians had nothing to celebrate. 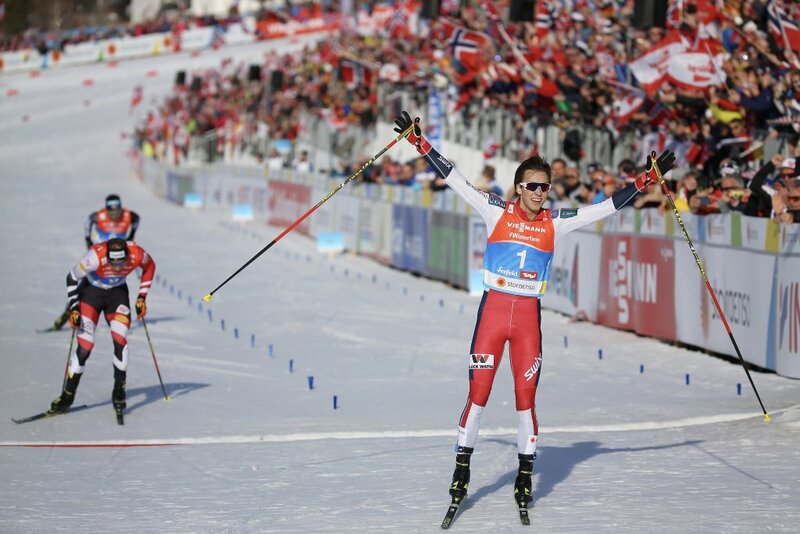 By the way: Norway has been leading the medal table since the last 10 (!) 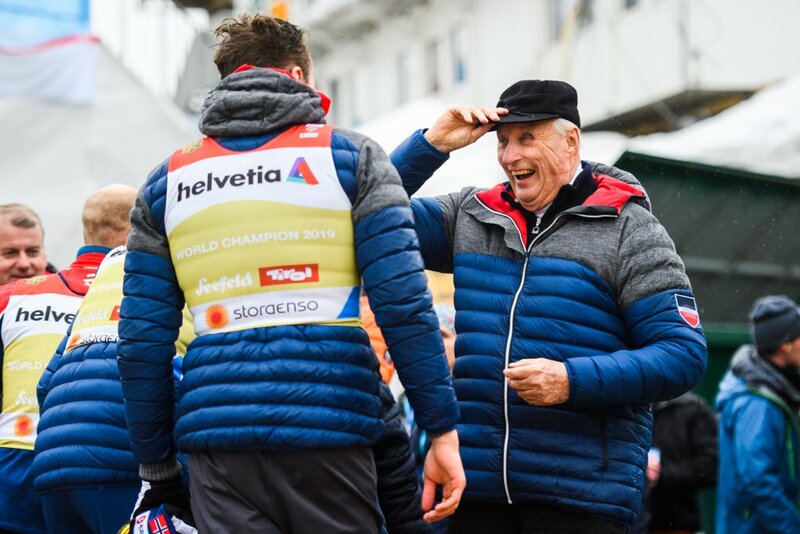 World Championships. 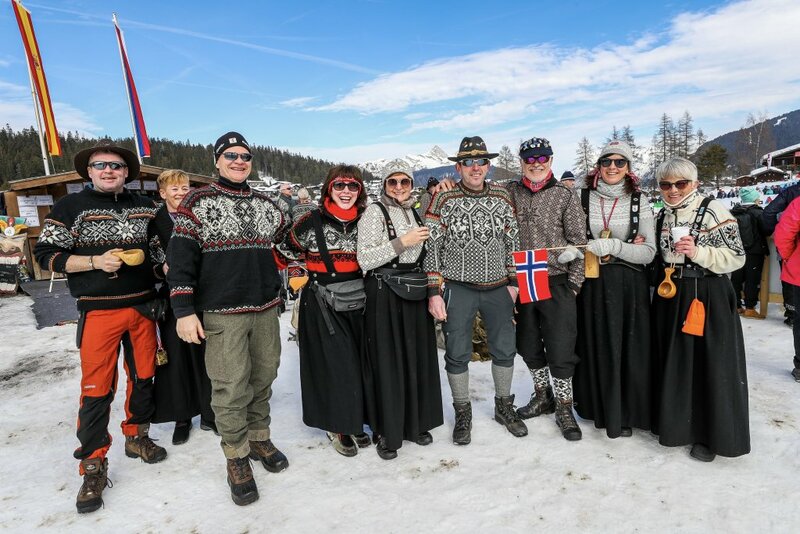 Here we havesome of the most beautiful moments of joy of the Norwegians for you! 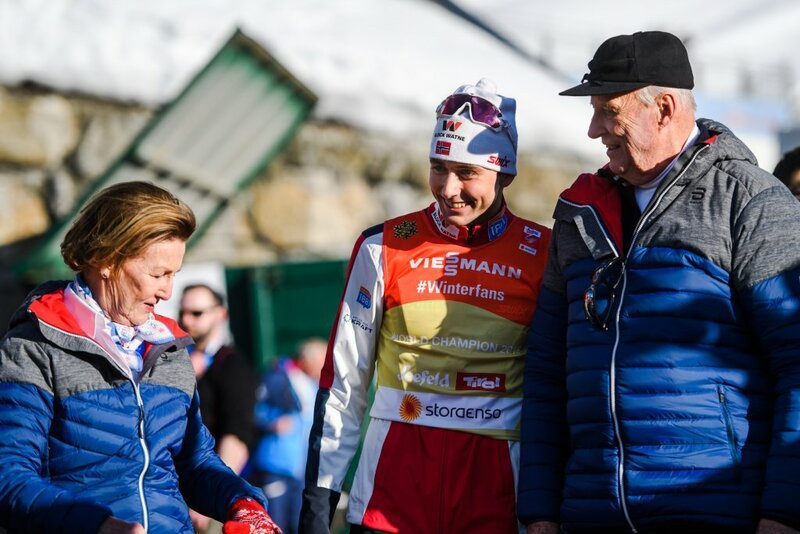 Royal visit: The Norwegian royal couple King Harald V. and Queen Sonja did not miss the opportunity to cheer on their athletes live in Seefeld. 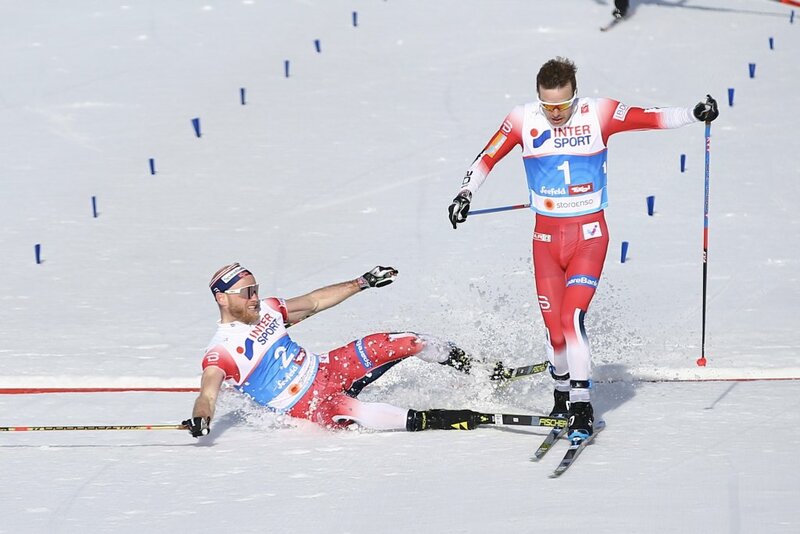 The Norwegian athletes won several medals before their eyes. 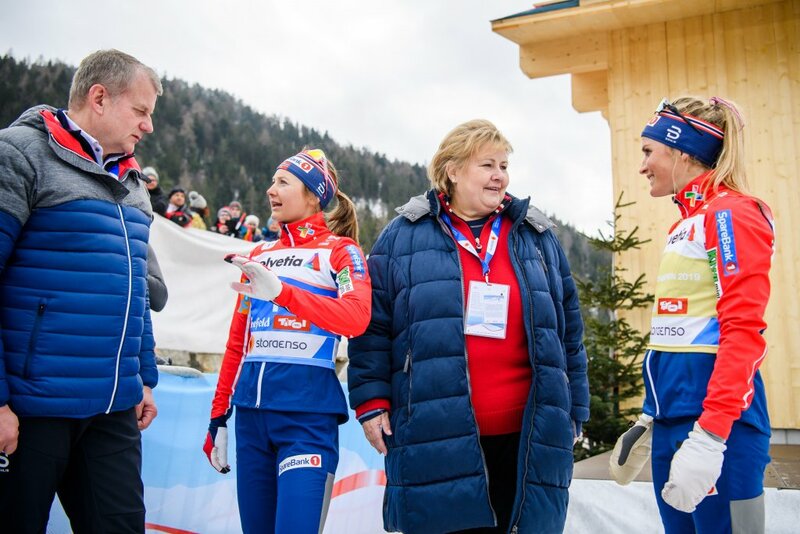 Norwegian Prime Minister Erna Solberg also travelled to Seefeld. 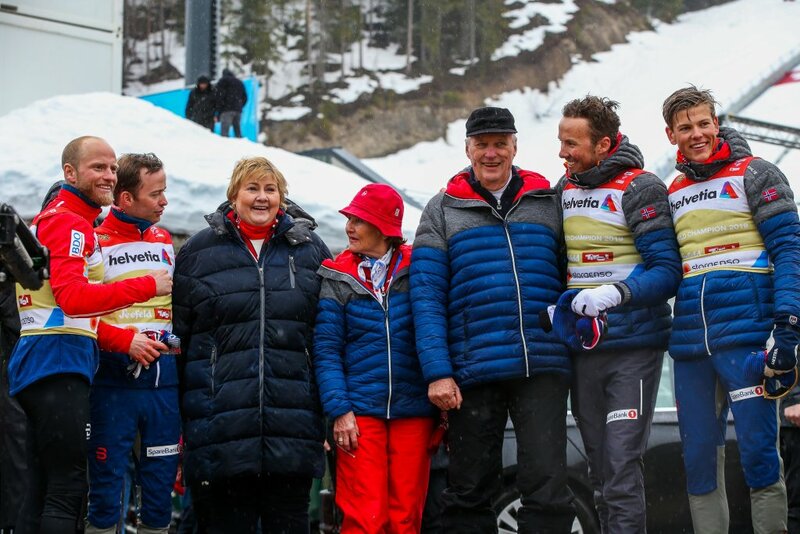 The Norwegian King and Queen in Seefeld. 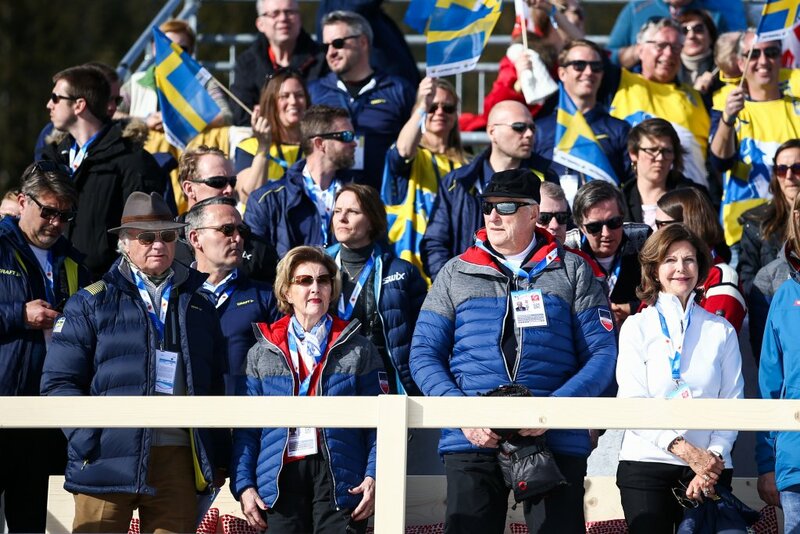 The Swedish King and Queen were also there. 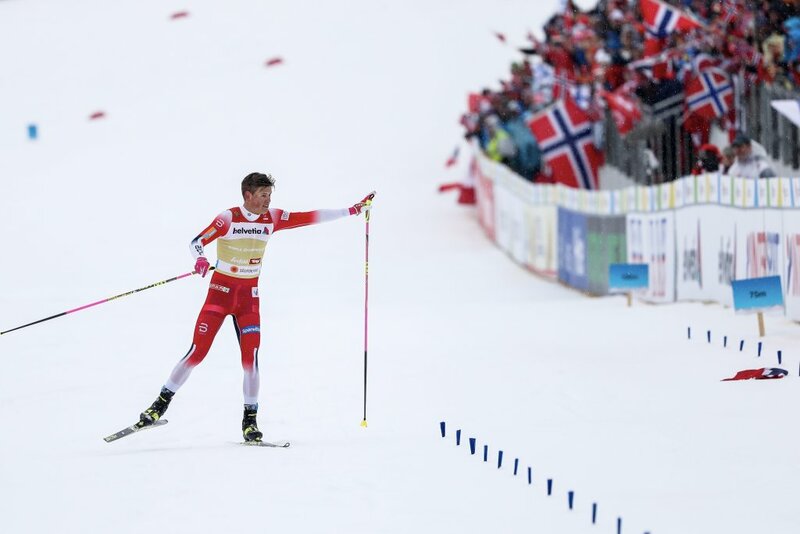 The Norwegians have truly turned the World Championships into a Nordic ski festival! They also built a small tent town. On the meadow opposite the Hotel Berghof they built several tents, tables and a buffet. 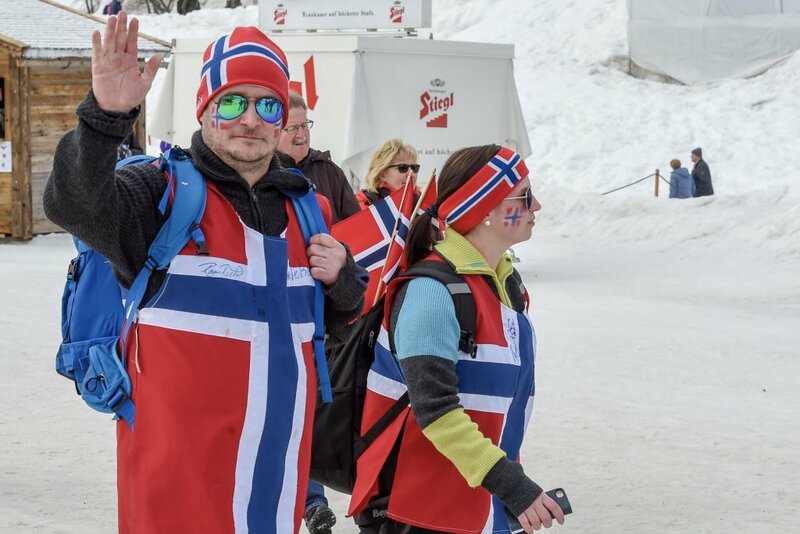 Here, you immediately felt like being in Norway. 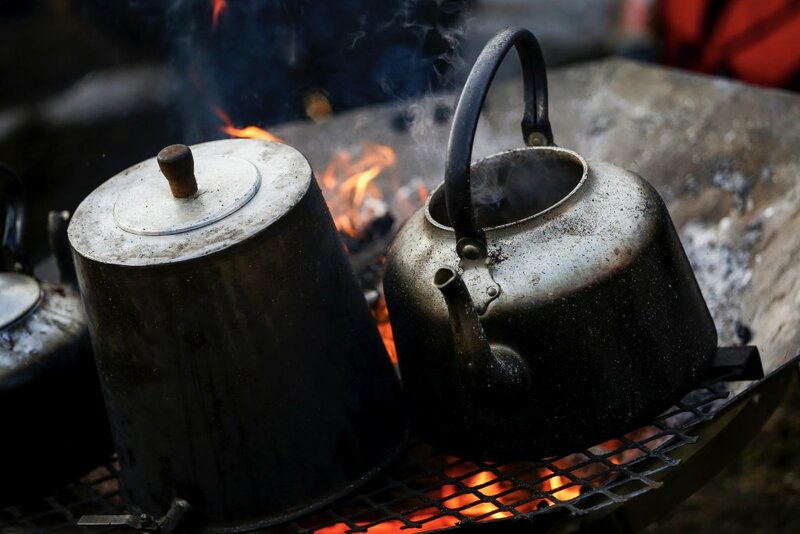 With the greatest cordiality and hospitality, the visitors were welcomed at the “day of the open tent”. 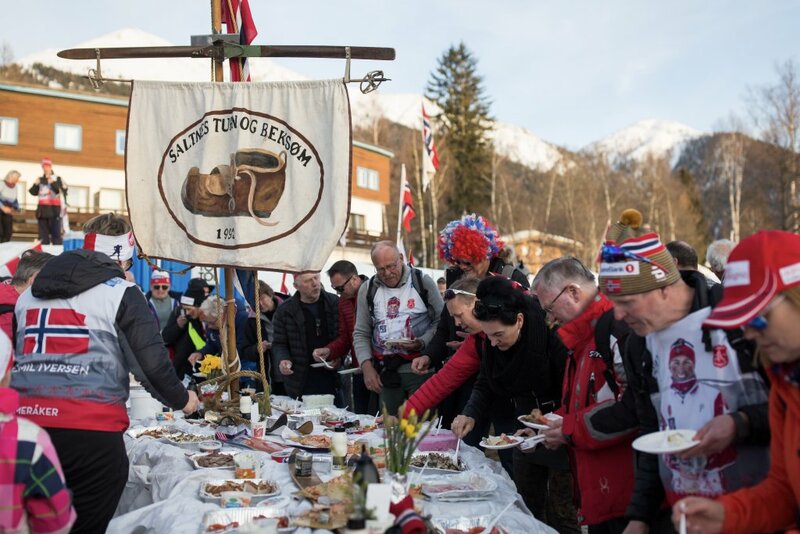 The Norwegian chefs had prepared elk hearts and sheep heads. 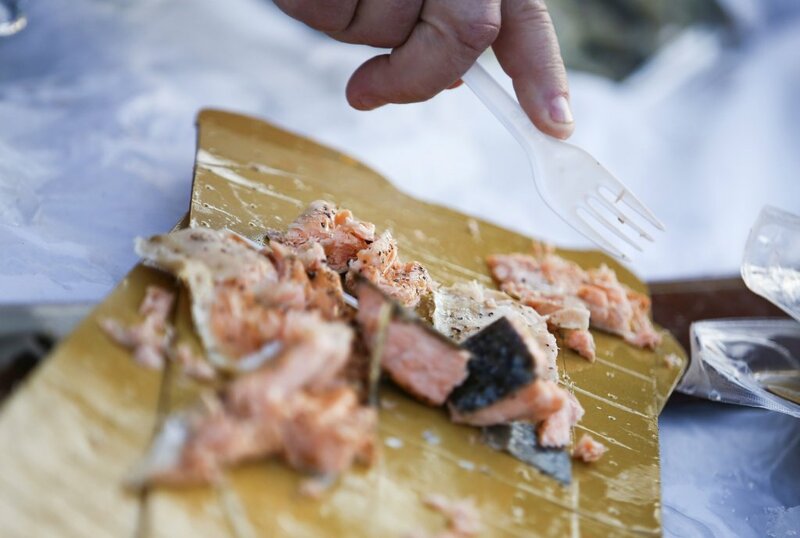 Delicious salmon was also a must, of course. 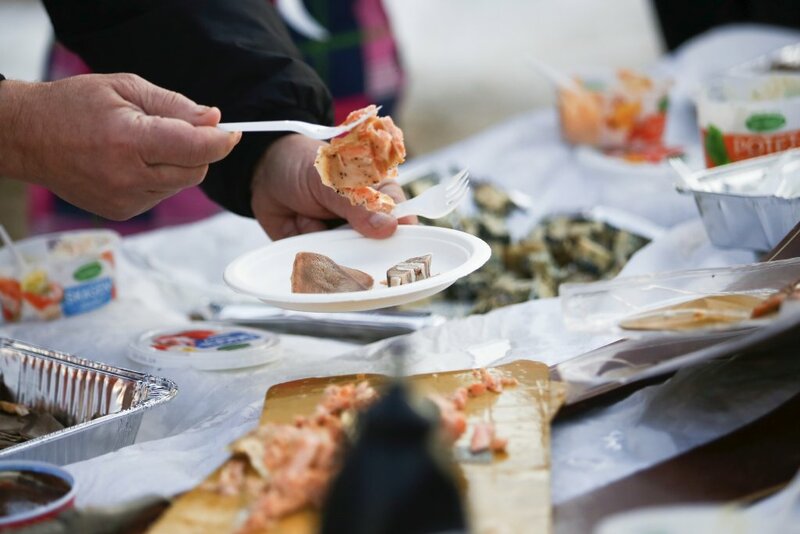 If the Nordic food was too unusual for you, you could enjoy hot drinks, schnapps and beer – all for free! 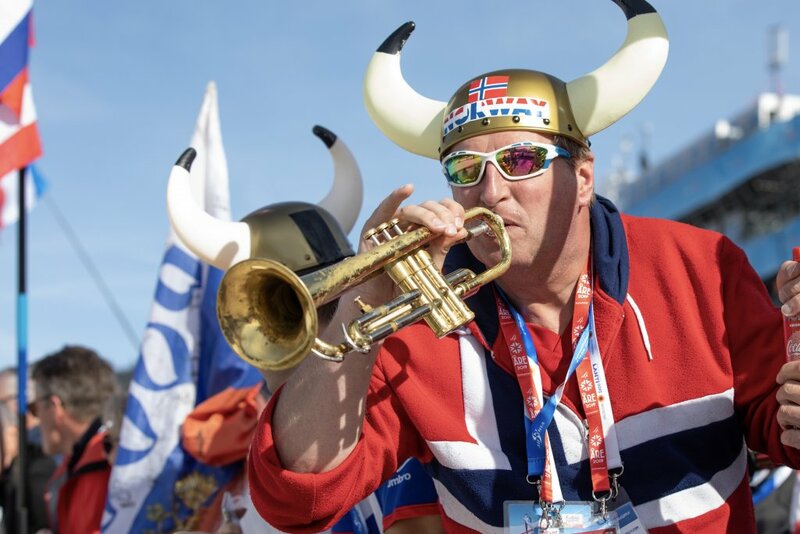 Behind the Norwegian camp was a group of fans who had never missed a Nordic World Championships before. Sponsors provided for the sumptuous food and drinks. 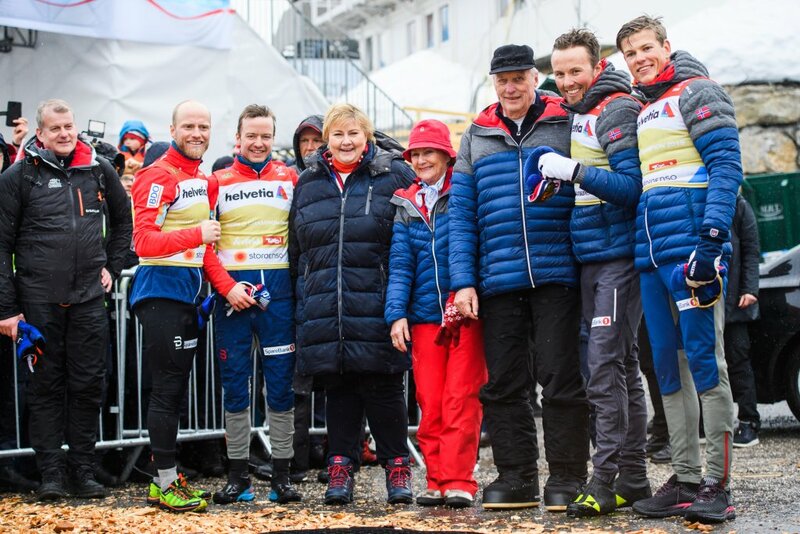 For their hospitality we heartily say “Mange takk”! 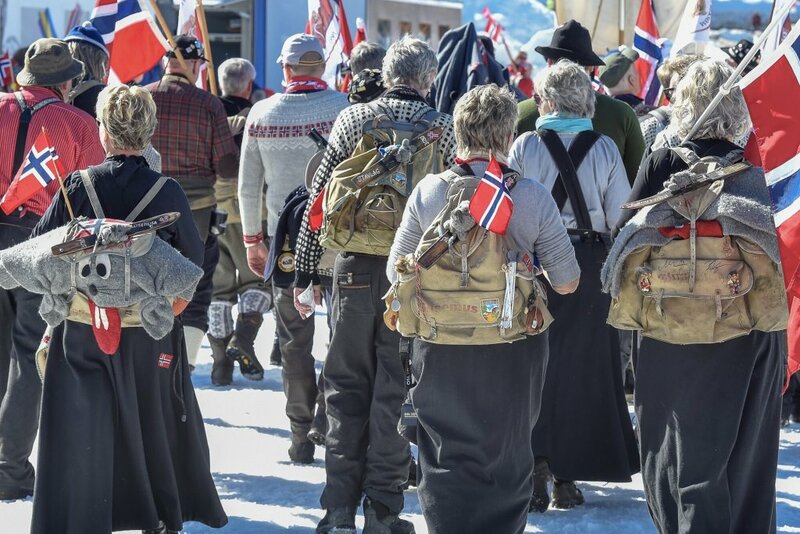 I teltbyen til “Saltnes turn og beksøm” følte de mange besøkende seg som i Norge. 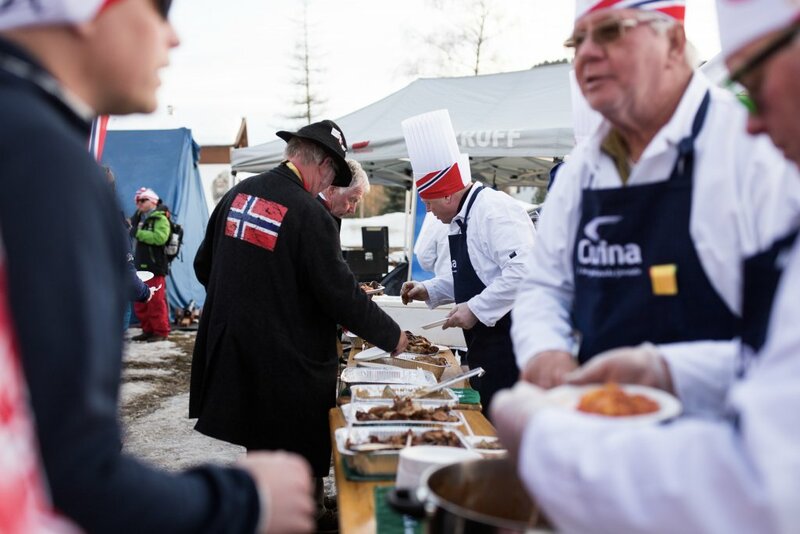 Gjester fra mange land ble tatt i mot med en fantastisk gjestfrihet og mye god, norsk mat. 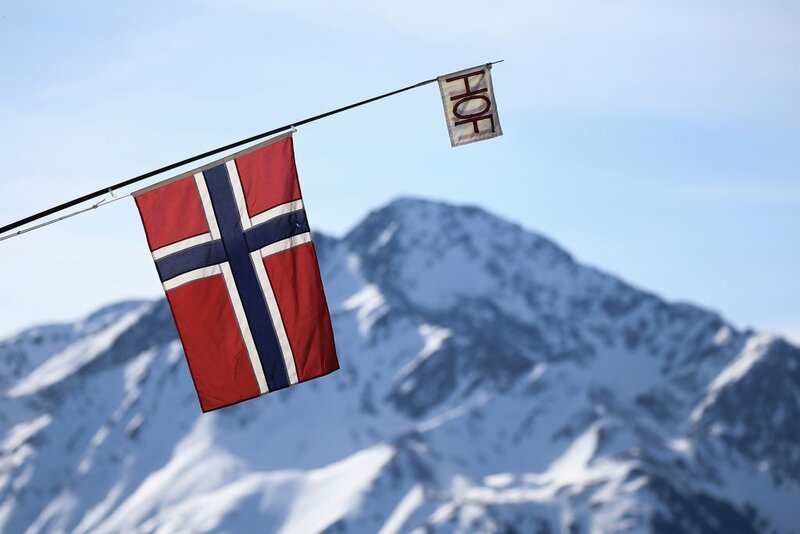 Norway is the nation of sailors and seafarers. The “Sjømannskirken” (Sailor’s Church) is a part of the Norwegian church. 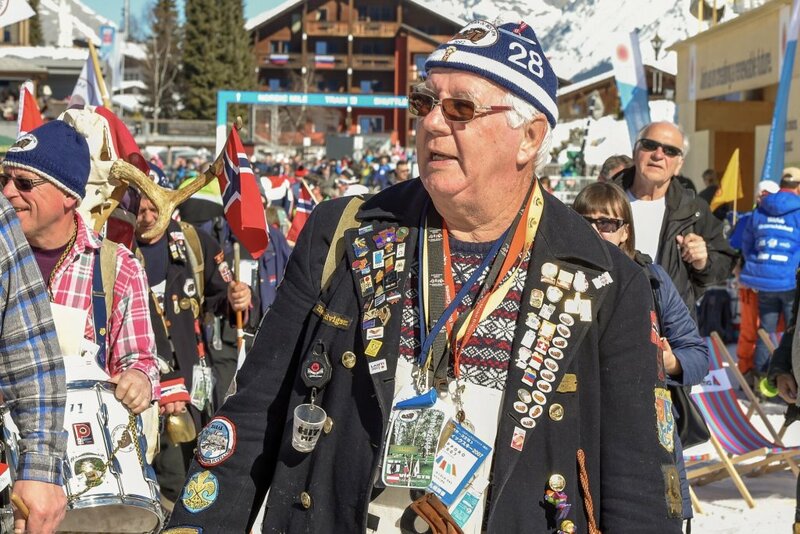 There is a Sailor’s Church in many big cities – and also at some big events. 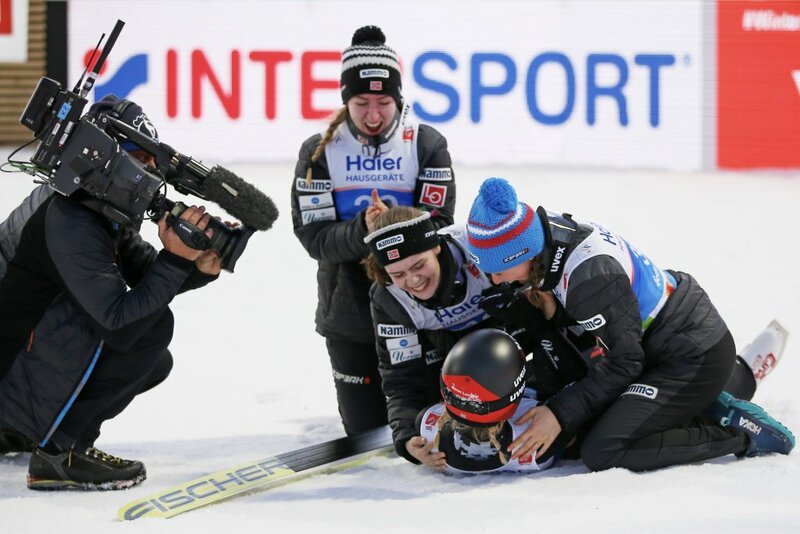 That is why it could not be missing at Seefeld 2019. 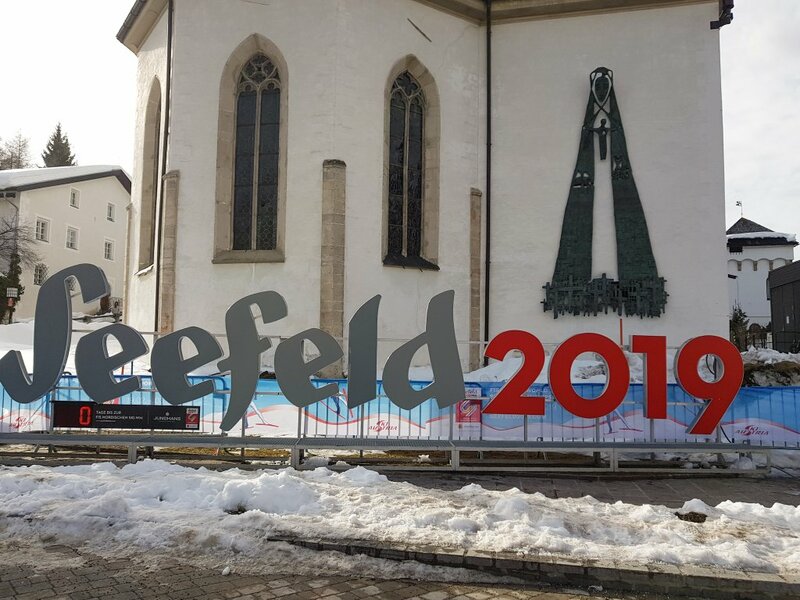 It was a place of peace during the World Championships. 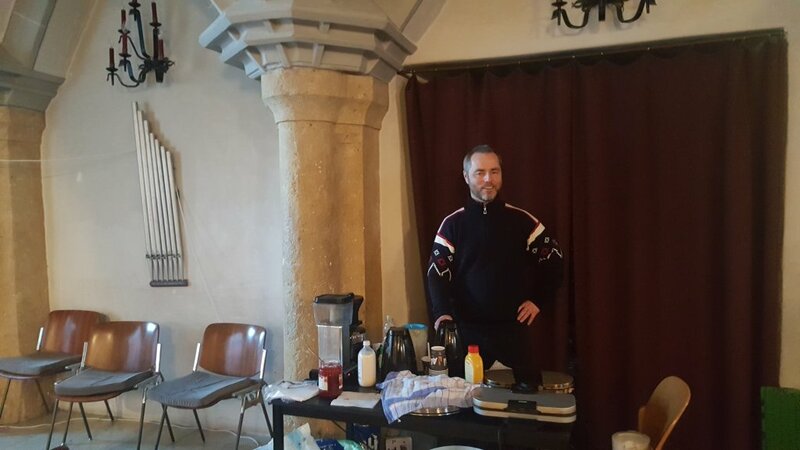 Everyone was welcome in the small “church” in the chapter hall of the church St. Oswald in the town of Seefeld. There was free waffles and coffee for everyone and every week there was a church service. The Sailor’s Church was a place of fellowship and peace! 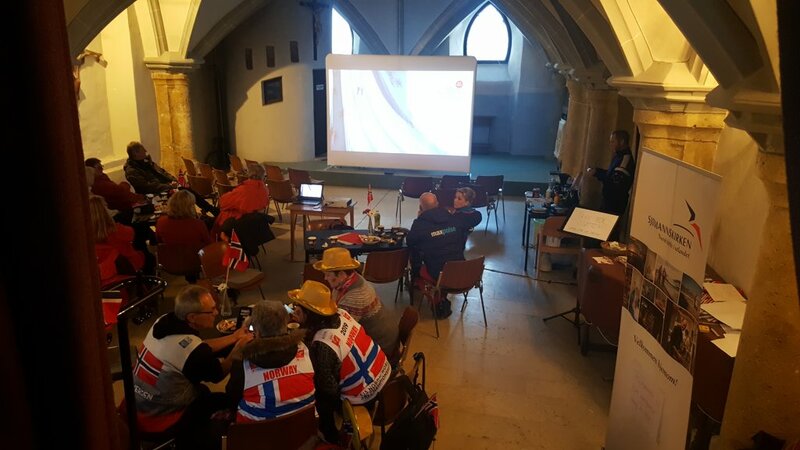 Den norske sjømannskirken var en møteplass og et sted å komme til ro under hektiske VM-dager i Seefeld. 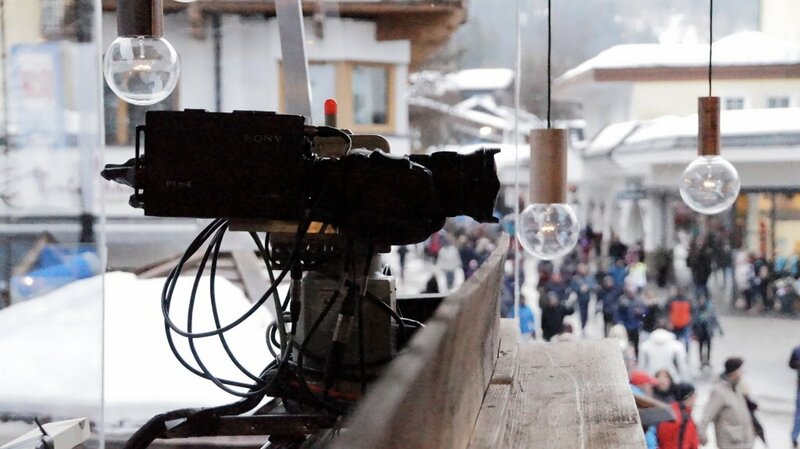 The Norwegian TV channel NRK has set up its glass studio in the heart of Seefeld to report on the prizes and events at the FIS Nordic Ski World Championships. 65 employees worked here and welcomed the professional athletes and other celebrities every day. 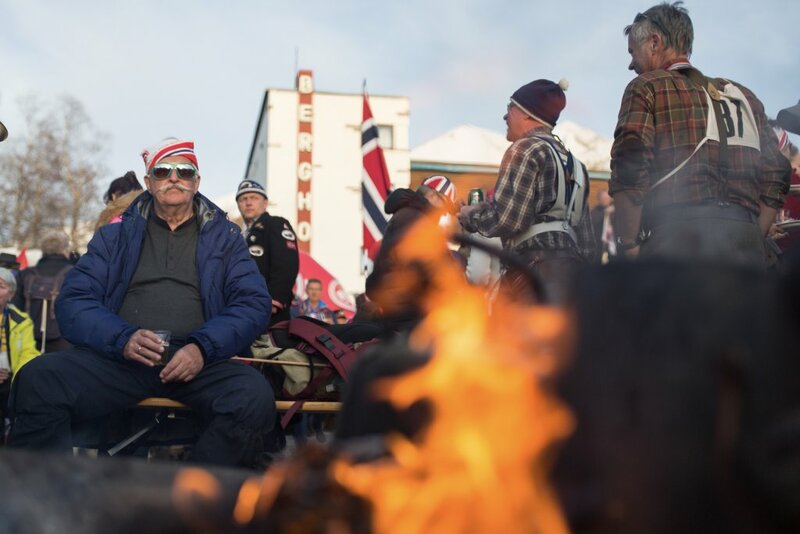 Up to 45 minutes a day were broadcasted back home in Norway. 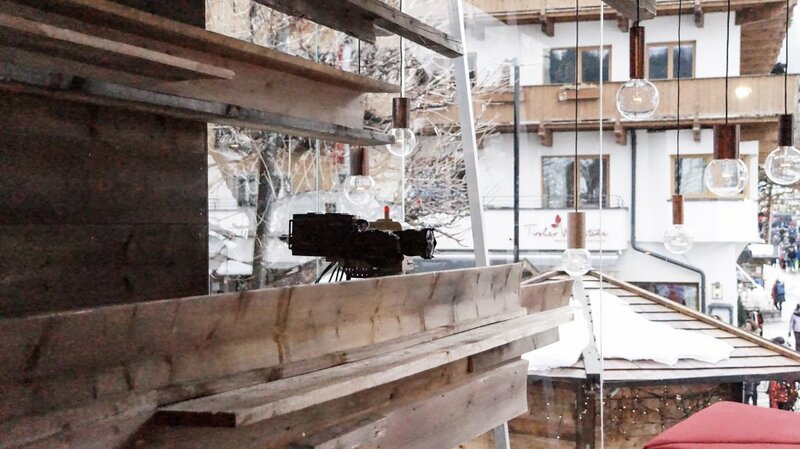 Find out more about the Norwegian studio here! 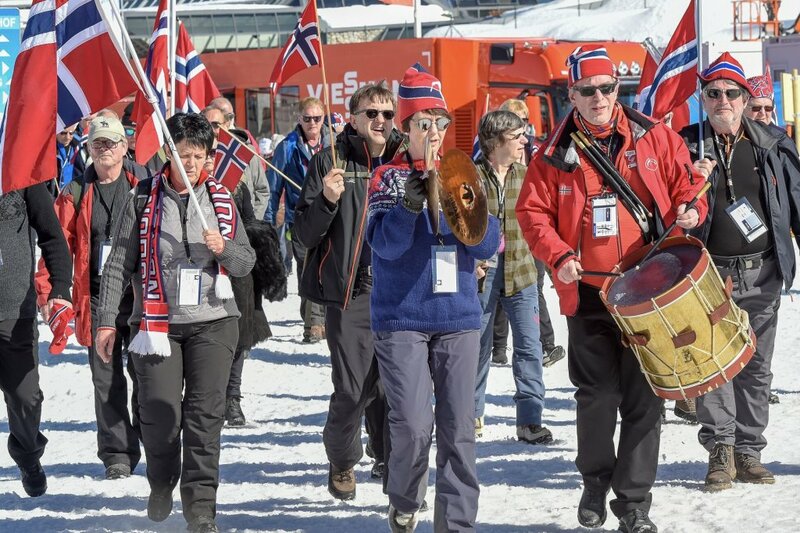 NRK hadde valg å sette opp kveldstudioet sitt midt på landsbyplassen i Seefeld. 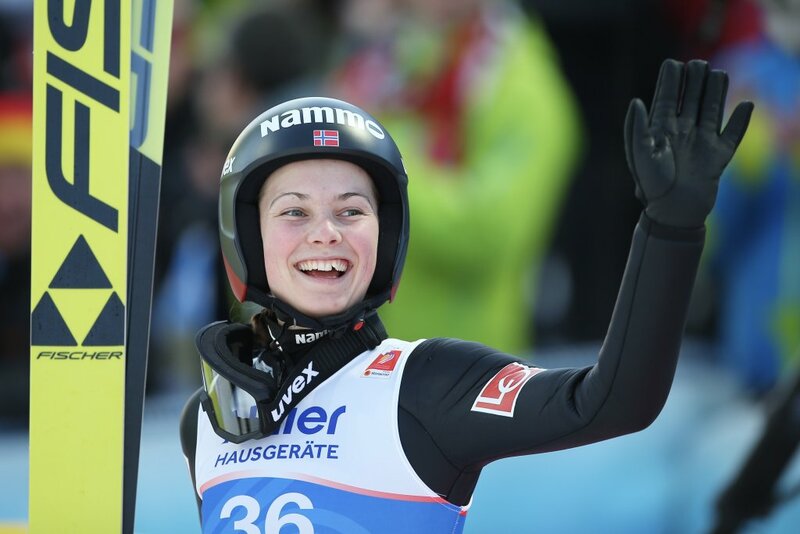 Her kom bland annet medaljevinnerne fra dagens konkurranser på besøk og kastet regelmessig glans over kveldssendingen. 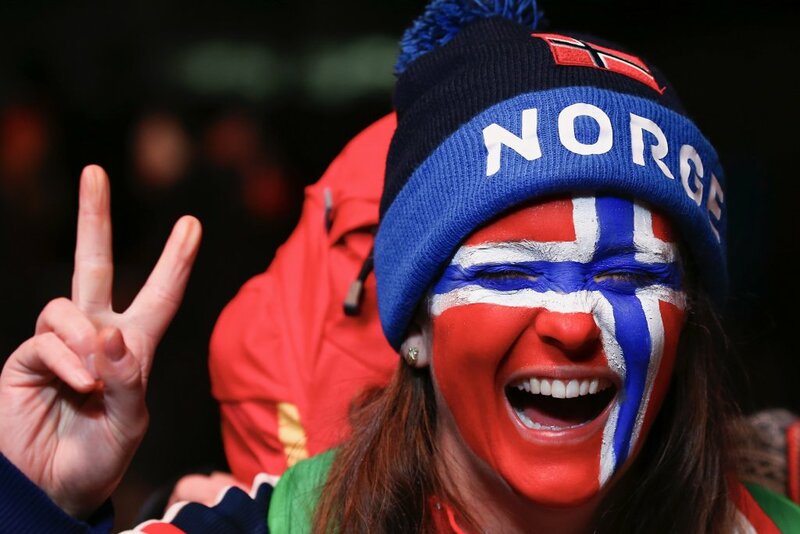 For the great and entertaining support we say thank you to the Norwegians – you are awesome! 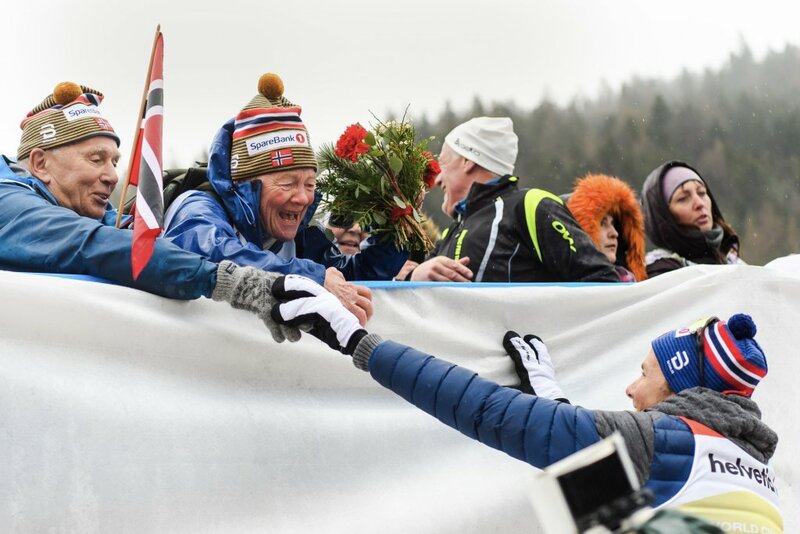 Of course we also say a big THANK YOU to all the fans from all over the world who cheered on their athletes during the World Championships in Seefeld 2019 and created a great, relaxed, peaceful and friendly atmosphere! 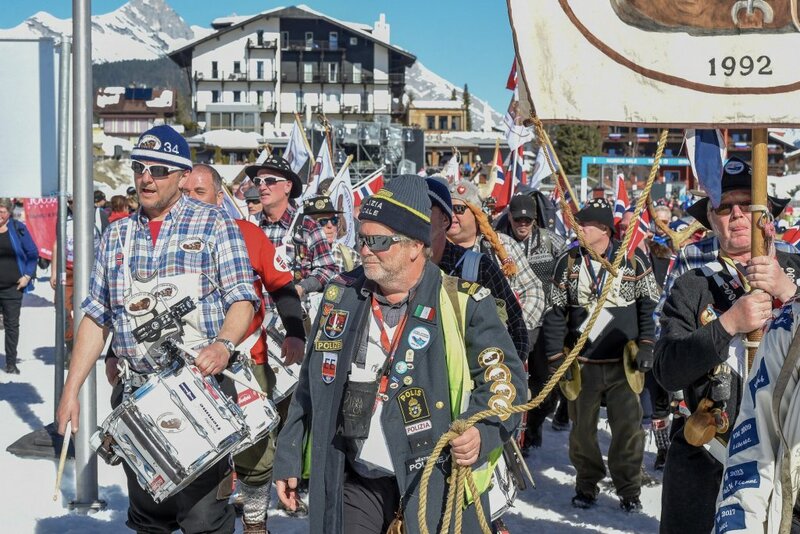 Vi sier TUSEN TAKK til alle nordmenn som var med på å gjøre VM i Seefeld til en uforglemmelig fest. 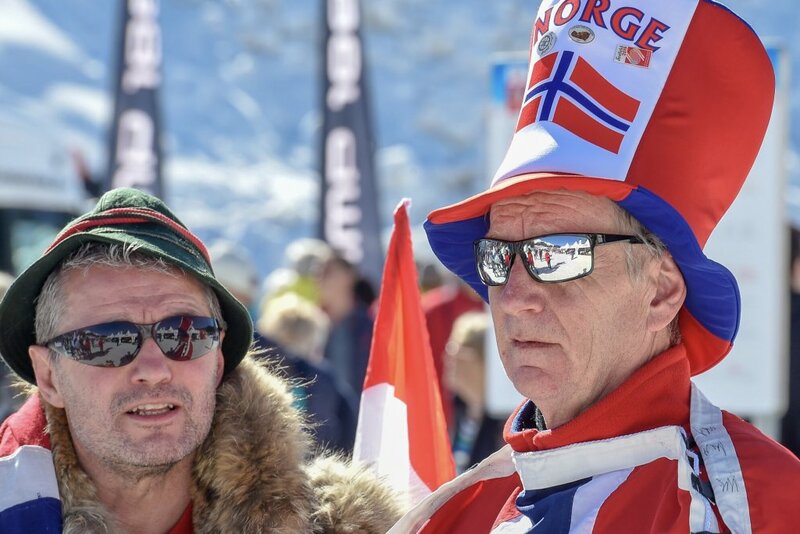 Dere var med å skape et fredelig, morsomt, vennskapelig og avslappet mesterskap, ikke bare på tribunene, men i hele regionen. 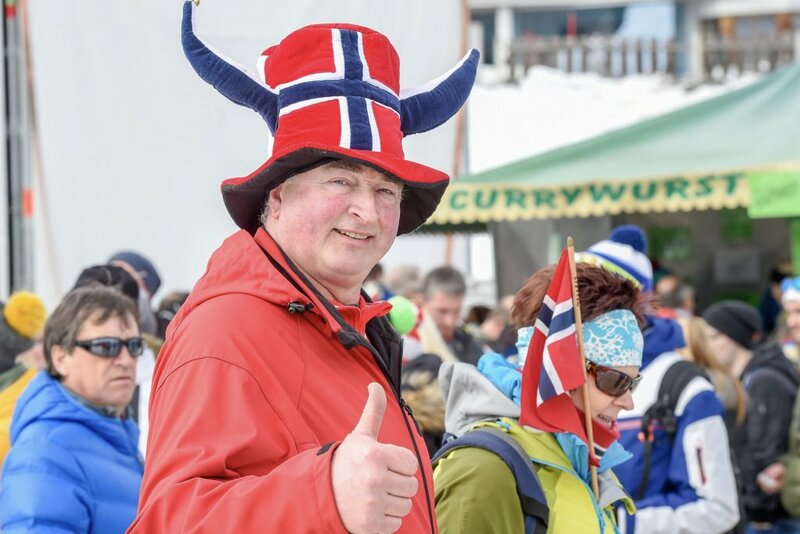 Vi ønsker dere hjertelig velkommen tilbake!